Are you from the Steel City? When you are from Pittsburgh, you are proud of it. You root for the Steelers, you eat sandwiches with slaw, and you actually know the names of the three rivers. Located an hour north of the city of bridges, we are proud to be from western Pennsylvania. That’s why we’re excited to introduce our new Steel City Collection! This line of metal restaurant chairs and bar stools offers a lot of variety for your unique decor and can fit a classic, more traditional atmosphere or a trendy, contemporary design. By adding wood elements to the metal frames, we’ve meshed the warmth of wood with the sturdiness of steel. Available in either silver or black steel frames, give your bar or restaurant a more customized look by choosing color of wood back, type of seat (vinyl or wood), and color of seat. This Steel City Collection is sure to please! Driving in Pennsylvania, there are a lot of businesses that give the steel city a tribute in their name. From Steel City Bars & Grills to Steel City Saloons, it’s clear to see bar and restaurant owners are proud of their city’s roots. But a quick online search will prove that the love of Pittsburgh spreads all across the United States with establishments carrying on the steel city theme in places like Tallahassee and Los Angeles. So what is it about this great city? Whether it’s the Penguins or the Primanti Brothers, the steel city has a lot of fame and a lot of fans! 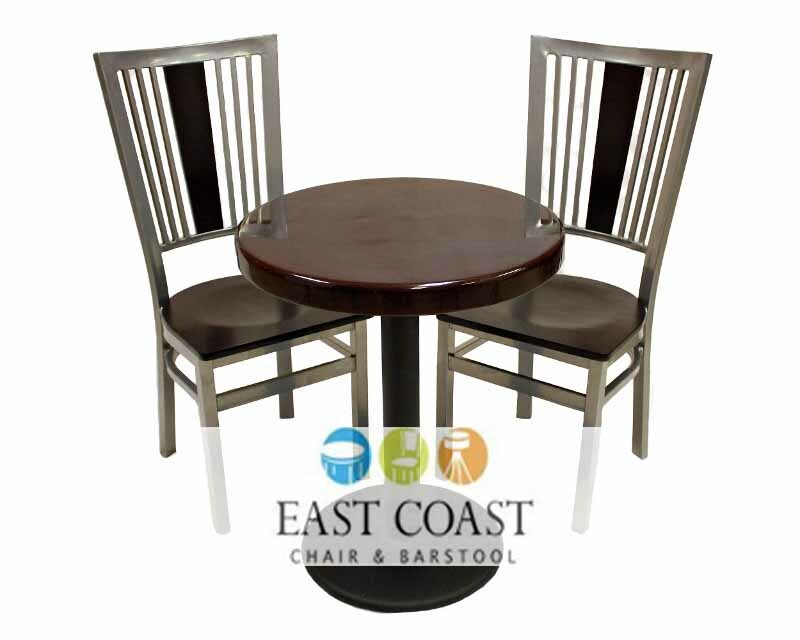 We hope you become a fan of our newest Steel City Collection metal restaurant chairs and bar stools, too. The pieces offer a versatility that will look great in a sports bar or a family diner, in a fitness club’s cafe area or a corner pub. You don’t have to be a steel city fan to like these trendy pieces of restaurant and bar furniture. We ship to all 48 continental states. But be forewarned: many of our friendly sales consultants wear black and gold, so you may want to skip the football chat if you root for anyone but our beloved Steelers. We would be happy to talk more to you about our great Steel City Collection! Mention this blog entry and receive 5% off your order of $1,000+ in our Steel City line (Please note: this coupon has expired, effective September 1, 2013. Call us to discuss current pricing, please.). Then sit back and enjoy your new metal restaurant chairs or bar stools for years to come! 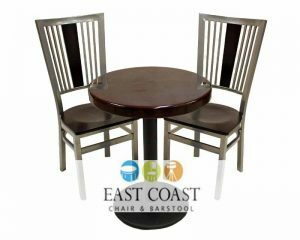 Posted on Dec 9, 2011 in Design and Furniture Selection, News from East Coast Chair & Barstool • Comments Off on Are you from the Steel City?